Update: Thursday 9th November 2017. Last week, Australia’s compliance with the International Covenant on Civil and Political Rights (ICCPR) was reviewed by the United Nations Human Rights Committee (HRC). Australia had “very little to be proud of,” according to Vice Chair of the HRC, Professor Yuval Shany. Examining this appalling record, Vice Chair of the HRC, Professor Shany, was scathing of Australia’s “chronic non-implementation of the [ICCPR]“. The 2014 HRC decision in Horvath v Australia, is a clear example of Australia failing to fully implement UNHRC recommendations. 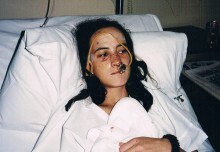 The complaint to the HRC, submitted by Police Accountability Project on behalf of Australian woman, Corinna Horvath, concerned extraordinary police brutality committed in 1996 which Ms Horvath spent years seeking justice for, despite a court of law finding police had acted unlawfully. In Horvath, the HRC found that Australia (and by necessity Victoria), was required to ensure that police perpetrators of human rights violations are disciplined through an independent, effective and impartial complaints body. It also stated that when the State is found to have committed human rights violations, the state is obligated to implement non-repetition measures, to prevent similar violations from occurring in the future. There remains no state liability for tortious human rights abuses carried out by police officers where that conduct is found to be serious and wilful. Perversely, the worse the police misconduct, the less likely the Victorian State is to be liable. This means that victims need to pursue individual officers to receive compensation, before the State may consider awarding ‘a sum’ of compensation. There is also no mechanism to ensure police perpetrators of human rights who are found to have engaged in serious and wilful tortious conduct are disciplined. This means perpetrators can remain undisciplined and serving within the police force, even when a court of law finds the police officers have acted unlawfully. 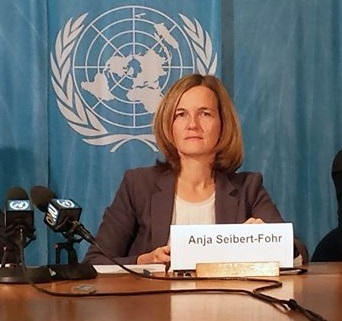 Vice-chair of the HRC, Dr Anja Ms Siebert-Fohr speaking to Australia’s non-compliance with the Horvath decision, reflected on the “massive police brutality” involved in the case, in which “Australia denied responsibility under the Covenant”. 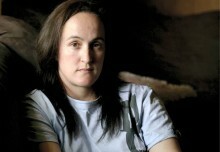 She queried: “What are the mechanisms in place to ensure victims have effective access to these remedies? The ICCPR prescribes that “Each State Party to the Covenant undertakes to ensure that any person whose rights or freedoms as herein recognized are violated shall have an effective remedy notwithstanding that the violation has been committed by persons acting in an official capacity” (Article 2 (3)(a)). 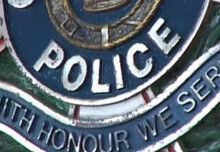 It is time that Victoria legislates to ensure there is proper accountability mechanisms in place when human rights breaches are committed by police officers. 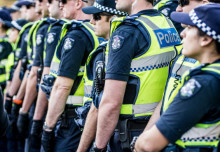 The current Victorian Parliamentary Inquiry examining how police complaints about misconduct and corruption are handled in this State is a critical opportunity to recommend legislative change that prescribes independent investigations of police in line with other jurisdictions and United Nations guidelines. Victoria must do better. In 2015/16, IBAC had 34 active investigations into both serious public sector corruption and police misconduct (IBAC Annual Report, 2015-2016, p 18. It is impossible to determine how many of those 34 investigations related to police misconduct, because IBAC do not segregate this data in its reporting. But even if all 34 investigations related to police misconduct, this accounts for only a small percentage of the 2041 complaints it received in 2015/16 (of which 65% of allegations related to Victoria Police sworn offices, p17. Picture: Dr Anja Ms Siebert-Fohr, Director of the Institute for International and European Law and Vice-Chair of the United Nations Human Rights Committee. What is the ‘Horvath Test’?